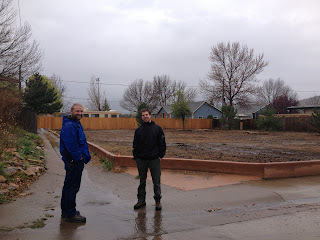 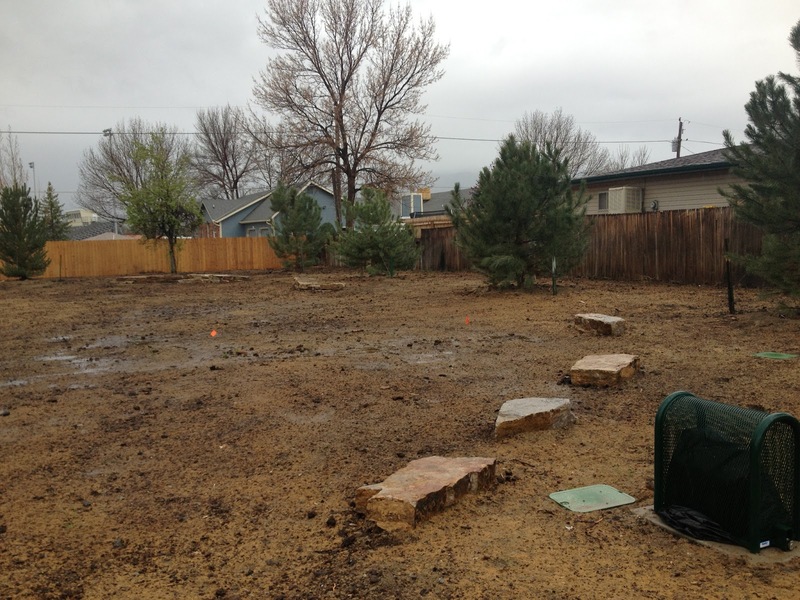 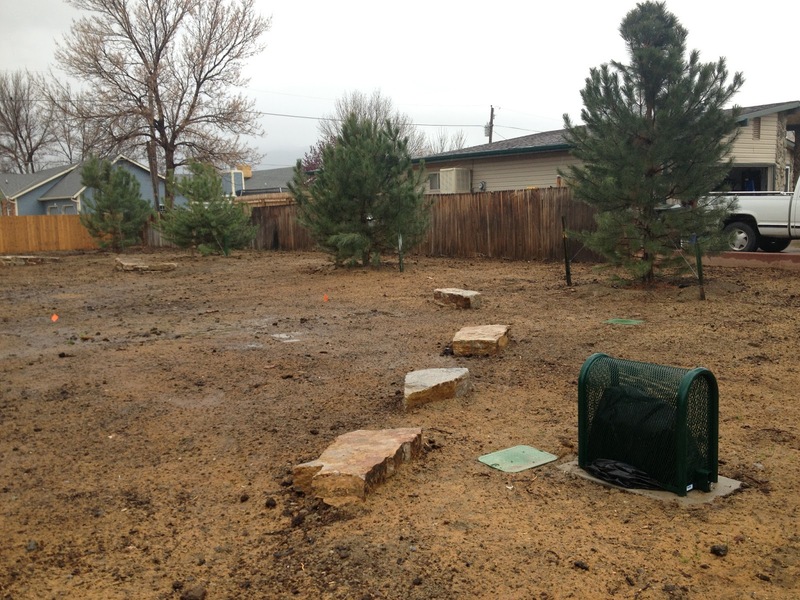 The pictures below show Adam Lancaster, Canon City Engineer, and Scott Baldwin, Office of Emergency Management Mitigation Specialist, at the site of an acquisition project. 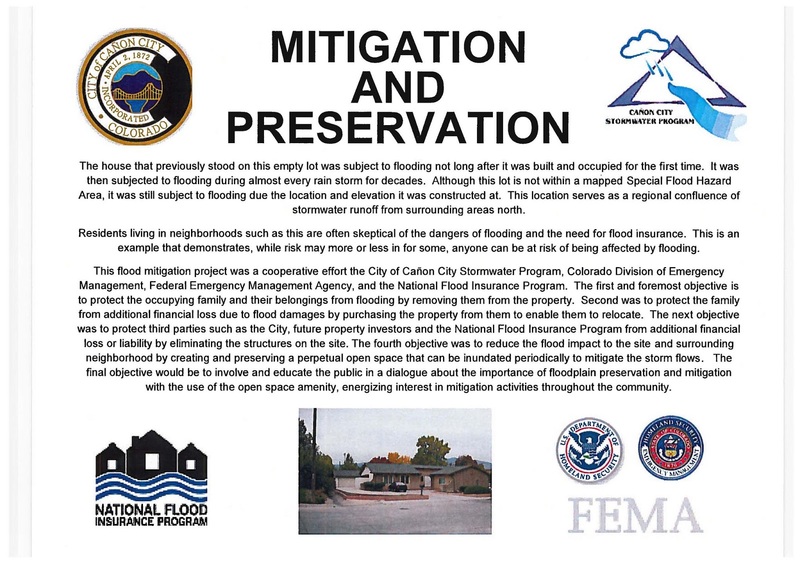 The home which had previously been located on the lot was subject to frequent flooding. 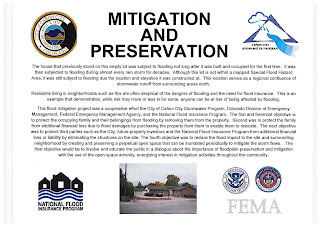 To reduce future risk of flooding to the home it was purchased and demolished through the use of FEMA's Repetitive Flood Claims (RFC) program and will be the site of open space in perpetuity. This sign will be posted at the finished project site.